The Sit N Go (SNG) is online poker's great gift to the aspiring tournament player. Prior to the SNG, final table experience was hard to come by. You could enter a dozen multi-table tournaments and never find yourself at a final table. Or you could make one or two, only to get knocked out in 8th or 9th place. Adapting to an ever-diminishing number of players at a single table is a crucial skill in tournament poker, and it's a hard experience to find offline without investing a lot of time and money. Online, this experience is a mouse-click away. The SNG's advantages are many. For starters, it's low-cost, or even free. It's also fun, and convenient: You don't need to schedule it -- a SNG starts every time the table fills up -- and it's usually over in less than an hour. It is the flight simulator of Final Table play, and mastering it should be considered mandatory homework for the serious student. The most obvious difference between a SNG and a multi-table tournament is that when someone goes broke in a SNG, there isn't someone waiting to fill their spot. 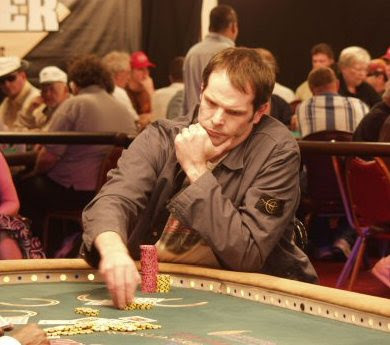 Multi-table play consists mostly of full-table, ring game poker. But as players get eliminated from a SNG, the table gets shorter- and shorter-handed. This reduction in players basically serves to artificially raise the antes. For instance, say you are playing five-handed and the blinds are 100-200: You are paying 300 in blinds for every five hands, or 60 per hand. As soon as someone gets knocked out, you're four-handed. Now you're paying 75 per hand -- a 25% increase -- despite the fact that the blinds have remained the same. Accordingly, you're forced to gamble more, or risk getting blinded out. Since the size of the blinds relative to your stack size should always play a major role in you hand selection, I recommend starting out with pretty conservative starting hand requirements. This serves two functions: First, the blinds dictate that you play fairly tight early; the blinds are small and you are nine-handed, so they don't come around as often. Second, this helps you establish a tight image, which you hope will pay off later when the blinds are high and you might really need a timely ante steal. But there is another not-so-obvious reason to play tighter earlier and looser later: The payout structure rewards tight play. Most SNG's pay 50% to first, 30% to second, and 20% to third. This payout structure dictates that you play for third. Why? Looking at the payout structure another way might help. Basically, the payout means that 60% gets awarded once you are down to three players, 20% gets awarded when you get down to two players, and the final 20% gets awarded to the winner. If you can just get to third, you get at least one-third of 60% of the prize pool, or 20%. You've locked up a profit, and you have a chance to win up to 30% more. It's only now that you're in the top three that your strategy should take an abrupt turn. Now it pays to gamble for the win. Let's look at the numbers again: 60% of the prize pool is off the table, and moving up one spot is worth only another 10%. But move up just one more spot and it's worth a whopping 30% extra -- that's three times more for first than it is for second. And with the blinds going up, gambling for the win is even more clearly the correct play. I see many players employ a nearly opposite strategy. They figure they have nothing to lose, so they go for the quick double-up early. They take chances too soon when, in their view, there's "nothing on the line". Then, once they're in the money, they tighten up, thinking about that extra payout for moving up a spot. If you start to rethink your SNG approach and adopt a "slow early, fast late" strategy, you will see an almost immediate improvement in your results.